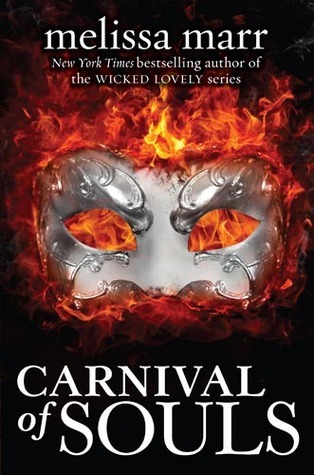 1 Winner will receive a copy of Carnival of Souls by Melissa Marr. Crank will be purchased through Book Depository. My favorite princess movie is Tangled. I have to go with the Little Mermaid...Disney version. I cry every time I watch that movie. Great giveaway! ooh... um. tangled.. or.. the little mermaid..or swan princess. ok, i do not know which one is my favorite. My favorite is The Princess Diaries. My favorite is Cinderella. Thanks so much for the giveaway! Cinderella, The Little Mermaid and Anastasia. i can only repeat it: fantaghiro is the best princess ever. i just loved her as a kid. Cinderella for me, but I love all of the Disney classics. Thanks for having the giveaway! Love The Little Mermaid. Thanks! I love The Princess Diaries. Beauty and The Beast I've loved Belle Since I was a girl. Anastacia, I think that because shes from russia!! The Princess and the Frog is my fav. Me and my girls love to watch it we love Princess Tianna. Tangled is definitely my favorite. Also, Belle, but that's because I like the Beast, you know? How he's a jackass & Bell is all "Hush Or I'll hush you!". I like her attitude. The Princess Diaries is mine and my daughter's favorite princess movie(s). Although Mulan isn't a princess, I love her for her because, hey, she went to war so her father didn't have to do it. That, my friend, deserves admiration. And Tangled, because it's so awfully cute and hilarious. Plus The Princess and the Frog because of Tiana's strong heroine character. DEFINITELY Mulan and Sleeping Beauty! I have for favorites Beauty and the Beast,The Princess Diaries, The Prince & Me,and Ever After. I loved Tangled!!! Loved the second installment of it too- Tangled ever after. Thanks for the giveaway! My favorite Princess Movie is Cinderella :) Thank you so much for giveaway! Hmmm - probably either Tangled or Beauty and the Beast. Thanks for the giveaway! I just watched Enchanted with my kids and loved it! Ella Enchanted or Princess and the Pauper (yeah, that's right! Barbie). Princess Diaries can't be beat! I loved the Princess Bride! Thanks for this amazing giveaway - I would love to win! Beauty and the Beast is my favorite princess movie! It's just so beautiful and timeless. Ever After and The Princess Bride. Those are my top two! My favorite princess movie is The Princess and the Frog. It Would Be Great To Win A Copy Of Carnival of Souls By Melissa Marr. In Response To Your Question Of What is your favorite Princess Movie? My Favorite Is The Princess Bride. Tangled is awesome! But I also love Enchanted!